Jon Weininger is a trial and appeals lawyer with substantial experience litigating business, commercial, intellectual property, real estate, and trusts and estates matters across a wide spectrum of industries, including apparel, banking, construction, energy and natural resources, entertainment, financial, hospitality, mining, and securities. He has won numerous judgments and awards, and obtained all forms of provisional and injunctive remedies for his clients, who range from individuals, family trusts, and privately-held businesses to publicly-traded corporations and banks. 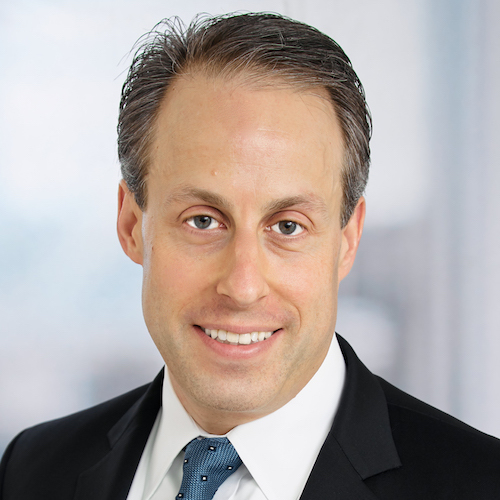 In addition to helping clients achieve success in litigated matters, Jon actively counsels his clients on strategies to avoid disputes altogether, and he has extensive expertise negotiating favorable resolutions of complex disputes in an efficient and cost-effective manner when they do arise. Won defense arbitration award, including attorneys' fees and costs, in a mining rights dispute after a four-day binding arbitration where the claimant sought over $5.5 million in damages against Jon’s client. Obtained dismissal at pleading stage of $10 million wrongful foreclosure and fraud lawsuit against Jon’s client, who had purchased a hotel. The trial court awarded attorneys' fees and costs to Jon’s client, and agreed to amend the judgment to add the plaintiff-company's officers as alter ego judgment debtors responsible for payment of those attorneys’ fees and costs. The matter was affirmed on appeal (Goldenpark, LLC v. Urban Commons, LLC, et al., 2015 WL 5146159). Successfully obtained summary judgment in numerous cases for clients sued for various claims involving business, commercial, real estate, and lender liability disputes. Successfully prosecuted claims for client victimized in elaborate forged deed scheme. In addition to recovering the property and restoring title to his client, Jon assisted the client in reversing a property tax re-assessment that was triggered when the forged deed was recorded. Successfully defended international automotive company in real estate commission dispute. The client prevailed at the pleading stage and was awarded its attorneys' fees and defense costs. Successfully represented sand and aggregate mining companies in various real property and mining rights disputes. Represented owners of hotels, office complexes, shopping centers, and other commercial properties in acquisition, construction, development, entitlement, leasing, and related disputes. Represented buyers of custom-built, beach-front home in a multi-party construction defect litigation matter under the Right to Repair Act, involving substantial water intrusion defects and other issues. Obtained favorable settlement for client that included reimbursement of all repair costs after extensive negotiations over multiple mediation sessions. Successfully represented clients in trademark infringement, copyright infringement, trade secrets, and related intellectual property matters. Successfully represented brokers, broker-dealers, and investment advisers in numerous NASD and FINRA consumer arbitrations.